Animal Adventures: Dinosaurs will take you on a journey to explore the world of dinosaurs. Have fun while learning and see all of your favorites like you never have before, with colorful illustrations and fascinating facts, and then by building a diorama. Everything you need to delve into the world of dinos is right here. 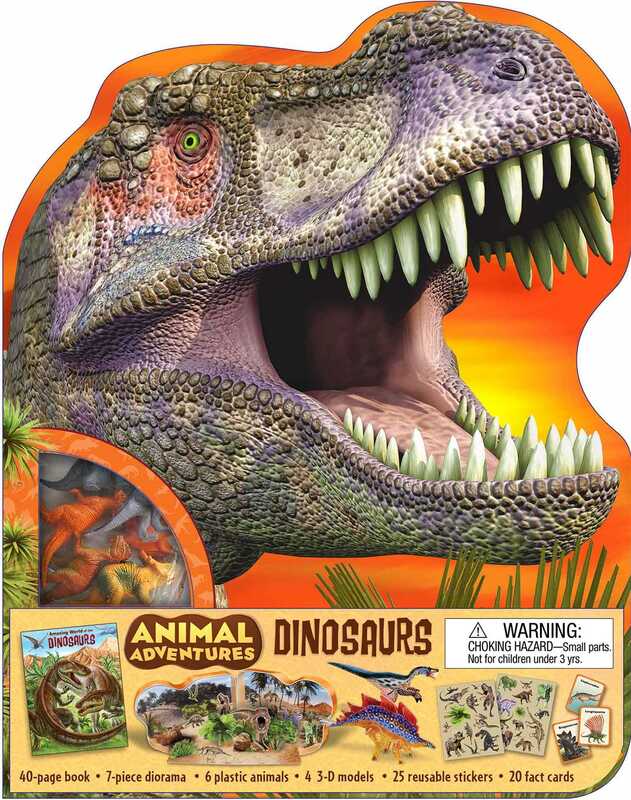 * This unique set includes a book full of colorful illustrations and intriguing facts about dinosaurs, plus three-dimensional dinosaur models and a diorama with reusable stickers. * Journey to the Age of Dinosaurs to learn everything you need to know about these remarkable creatures. Animal Adventures: Dinosaurs offers a unique learning experience as you meet them face-to-face. Sarah Albee was born in Cleveland, Ohio and has written books for kids ranging in age from toddler to teen. Sarah mostly writes fiction and non-fiction for kids ages 8–12, but has also written for television-based characters like Dora, Elmo, and Spongebob SquarePants. Sarah lives in Connecticut with her husband, two daughters, and a poodle named Rosie.